In order to combat the lack of awareness for reconstruction options the ASPS has launched National Breast Reconstruction Awareness (BRA) Day. This is the first ever event of its kind and is taking place in October. In order for women to see the breast reconstruction results and hear personal experiences for themselves, a “show and tell” event has been organized as part of the event. More information about National BRA Day can be found on the event’s website. Talking with a doctor about treatment options is the best way to find out which options suit your situation. Contact Dr. Lisa Hunsicker, or stop by her Littleton, CO location to discuss your breast reconstruction options. New York Times bestselling poet, humanitarian, and Grammy-nominated singer-songwriter, Jewel, released a new song in support of National Breast Reconstruction Awareness (BRA) Day. The song, Flower, will raise money and awareness for breast reconstruction. Jewel is National BRA Day’s national spokesperson, and Flower is part what she’s doing to raise awareness and inspire women who may be struggling with their post-mastectomy options. On her website Jewel stated, “When I was writing this song were a lot of survivors that came to mind and I’m always continually amazed at how resilient women are, and how when faced with a difficult position they find the courage to say, ‘I’m going to fight on and I’m even going to be better.’ And that’s what made me want to write this song.” Flower was released on August 21, 2012, and is available for download on iTunes. National BRA Day was set up by the American Society of Plastic Surgeons (ASPS) and the Plastic Surgery Foundation (PSF) to ensure the women are being supported and informed of their post-mastectomy breast reconstruction options. 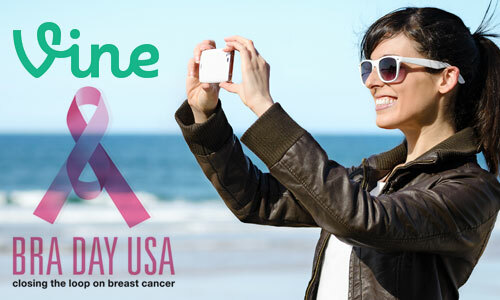 The National Breast Reconstruction Awareness Day is set up to take place on October 17, 2012. In addition to the song, Jewel will be performing a charitable concert on October 29, 2012 in New Orleans during Plastic Surgery The Meeting. Proceeds from the concert and event will be donated to the Breast Reconstruction Awareness Fund. The fund was set up by the Plastic Surgery Foundation to support national and local breast reconstruction organizations. E News posted a video on their website that feature the song and the partnership between Jewel and the PSF and ASPS. It can be viewed here. More information about the National Breast Reconstruction Awareness Day, or the benefit concert, can be found on Jewel’s website, and the PSF or the ASPS webpages.